The following downloadable brochures are available in PDF format. Illustrated is the revolutionary Freewater Superslim. Each tank holds 220 litres of precious rain water. This modular tank can be fitted into places where the available space is tight. Just 19cm in width, the Superslim rainwater tanks can be attached to a wall or fence, and the system is flexible in that modules can be added as your water storage needs grow. 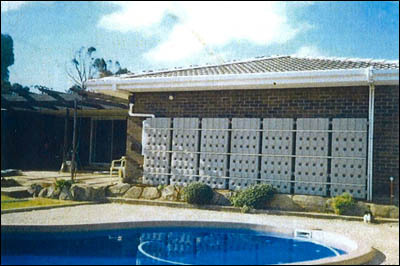 The Super-Slimline design, means Freewater® can be positioned along fences and walls without encroaching into driveways and walkways. The basis of the Freewater® Modular System is an 1800x720x190mm, (6’x2 1/2’x7”) blow-moulded, polyethylene plastic tank. 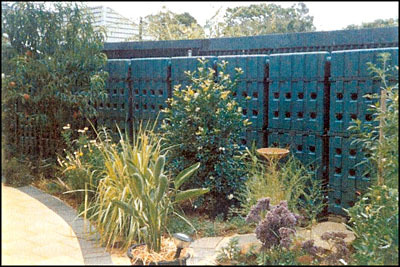 These tanks contain 220 litres each and are available in the very popular Beige and Rivergum Green. They are light, easy to handle and fit together within recessed steel rails. Freewater® Super-Slim line Rainwater Tanks are designed to sit on the ground. They very simply connect from one module to the next at the base. As water requirements increase, additional modules can be added. Priced at $425.00 (incl. GST) per 220 litre module, including one outlet tap fitting.